The Geo cube earrings from Coeur de Lion will adds an elegant touch to a little black dress for special occasions. 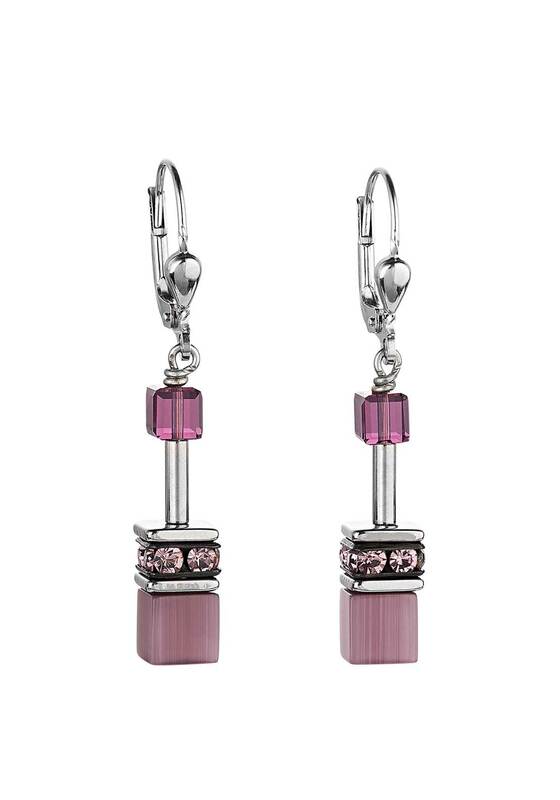 This beautiful purple pair are accented with Swarovski crystals, cut glass and stainless steel. Complete the look by styling with the matching neckline and bracelet.